All purchases are subject to the following terms and conditions ("Terms"). By making a purchase you acknowledge that you have reviewed and agree to these Terms. 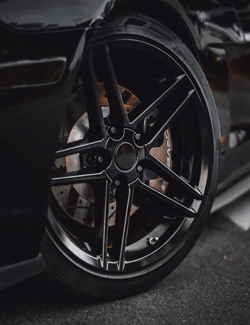 To the fullest extent recognized by the laws of the state where the wheel was purchased, OE Wheels issues this limited warranty to define the rights of the purchaser, and limit OE Wheels liability, with regard to warranty claims. OE Wheels warrants that our wheels will be free from structural failure under normal and intended use for as long as the original retail purchaser owns the product. Warranties are valid only for listed fitment applications. 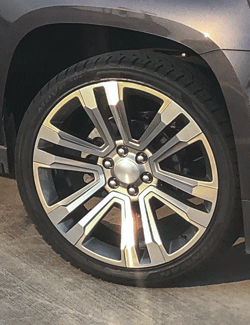 Installation must be performed by a certified technician and follow WTC Aftermarket Wheel Installation Guidelines. Failure to comply with these instructions shall void this warranty. In common with other websites, log files are stored on the web server saving details such as a visitor's IP address, browser type, referring page and time of visit. A customer's address, phone, email and username will be stored on the server. Cookies (small digital signature files that are stored by your web browser) allow visitor and customer preferences to be recorded when visiting the site. This information is used to enhance a vistor's experience, provide personalized content, remember user preferences, track return visits and facilitate order tracking. You may be able to block cookies via your browser settings, but this will prevent you from using certain features of the website.